Free plumbing inspection ($75.00 Value!) with any hot water heater installation. Offering repair, replacement, installations, and more! Offering repair, replacement, installations for gas and electric water heaters. We offer fast, reliable drain & sewer cleaning, repair, and replacement. Are you finding it hard to fix that kitchen leak by yourself? Or maybe your toilet has clogged up one time too many times? If you are in search of professional, reliable and efficient plumbing services, look no further than Griffith Plumbing. Griffith Plumbing, a subsidiary of Tri-County Pump Service, Inc, offers a wide variety of residential and commercial plumbing services to Hagerstown, MD, Virginia and the surrounding area. 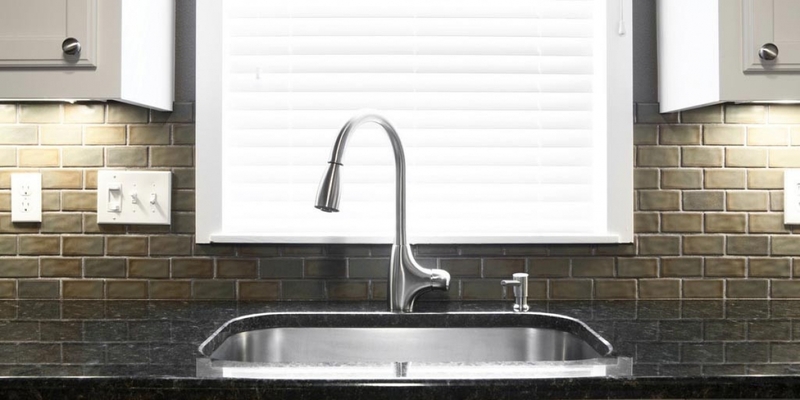 Our certified plumbers provide plumbing services for repairing your leaky faucet to new home plumbing installation. We are here to provide you with our expert plumbing services that include appliance hook-ups, bathroom renovations, toilet installations, water heater installation and repair, sewer and drain services, and water treatment systems. With our experienced and reliable plumbers, we pride ourselves on our outstanding customer service and customer satisfaction as your local Maryland and Virginia plumbers. We understand it can be tough to find an experienced and reliable plumber that can solve every one of your plumbing needs. At Griffith Plumbing, we are proud to hire only the best plumbers who provide you with expert plumbing services, whether it is in your home or office. All of our plumbers have years of experience in multiple facets of plumbing and are here to provide you with a range of plumbing services. Serving communities in Maryland and Virginia, we are confident that our professional and expert plumbers can get the job done. Click the service above more information on each of our plumbing services. In addition to our plumbing services, the team at Griffith Plumbing also provides expert repair and installation services for water heaters, as well as repairs and service for your drains and sewers. We offer sales, service, and installation of electric, gas, and tankless water heaters and are happy to help you choose the best option for water heaters for your home. Depending on your budget and lifestyle, we have a wide range of water heaters for you to choose from. Feel free to call us today to find out more about our water heater options and installation. We are happy to provide a free 12-point inspection of your plumbing system worth $75! For more information about our water heater options, please click here. No matter your plumbing dilemma or your location, Griffith Plumbing can help! We offer 24-hour emergency plumbing services to Hagerstown, MD, Virginia, and the surrounding area, so you can rest assured that in the event of a plumbing emergency, our expert plumbing services will always be available for you. If you are interested in finding out more about how our plumbers can help you, please do not hesitate to call our friendly staff at Griffith Plumbing. In addition, we are happy to provide you with a free plumbing inspection should you choose us to install your new water heater. During our inspection, we will check for leaks and shut-off valves, and discuss your different water heater options. To take advantage of our free consultation, please download your coupon here. Call us now for professional plumbing services! Take advantage of Griffith Plumbing’s 24 Hour Emergency Service, complete the form below, or call (301) 797-4533 to schedule an appointment!